One of the best parts of our corporate social responsibility (CSR) effort at Syniverse is the opportunity for each office to choose how it gives back locally, and we recently had just such an opportunity at our Singapore office. 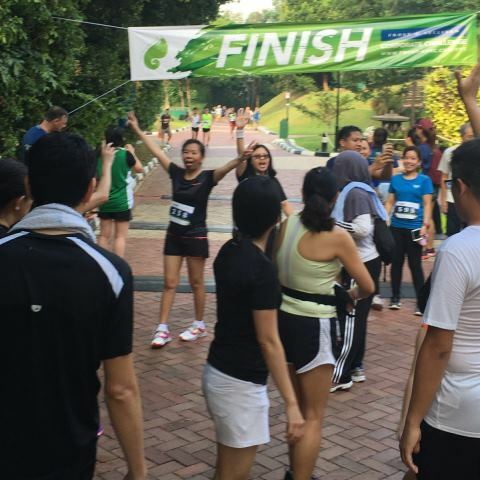 For the second year in a row, we participated in an event called the Frost & Sullivan Corporate Challenge at MacRitchie Reservoir Park, on Aug. 13. This annual 5K and 10K run raised funds for two charities this year: Bright Hill Evergreen Home, a nursing home for disadvantaged and senior people that provides a range of healthcare, physical therapy, occupational therapy, and social services; and Peace Connect, an activity center for seniors and youths that offers a range of community programs and personal care services. Our team at MacRitchie Reservoir Park in Singapore. Our office chose this event after our employee association group identified it as a good fit for our CSR activities. It’s another example of how Syniverse empowers colleagues at more than 30 locations around the world to decide how to give back to their communities through our employee associations. 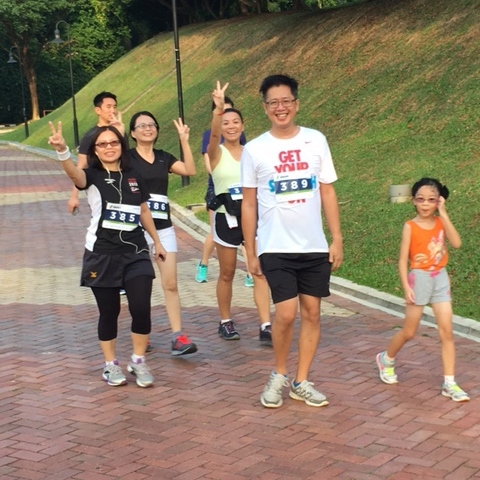 The race offered a perfect opportunity for everyone at our office the chance to take part – those who run a lot, those who run a little, and those, like me, who just walk fast. 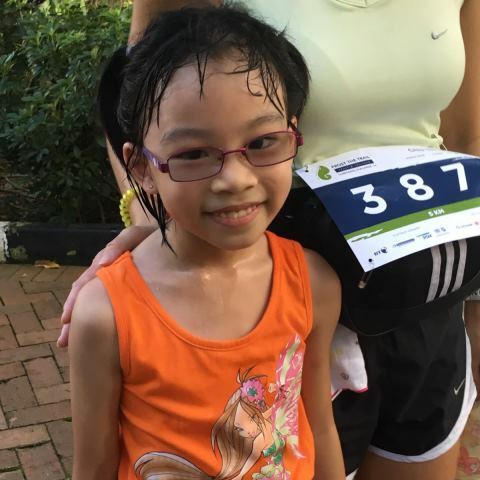 🙂 Not only were we able to recruit a sizable team for our office, but one of our colleague’s daughters also joined our team and was possibly the youngest person in the entire race, at seven years old! 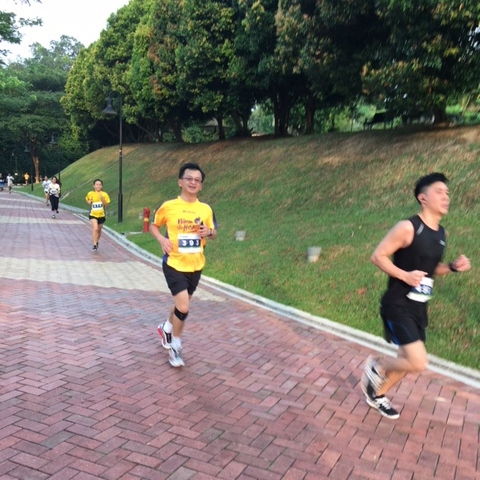 The runners in our group make fast progress. And the walkers show their stuff (I’m on the left 🙂 ). All in all, we all had a lot of fun getting together outside of work and sharing a rewarding team-building experience to help a worthwhile organization. Our office funded our entire running/walking team, which included 11 of us who formed the more than 600 runners who took part in the event. In the end, our team helped contribute to the approximately US$88,000 that the race raised. Personally, the event was rewarding to me on several levels. One was having the opportunity for a seven-year-old to join our team and the chance to experience the race through her eyes. It was gratifying to see her enjoy the race and to see how we could spread the spirit of giving back to a younger generation. Another rewarding part of the event was the opportunity to give back locally. I think that giving back should start from home, and that our workplace is our second home. Taking part in these activities through Syniverse offers us an opportunity to give back to the communities that have helped us succeed in our business. 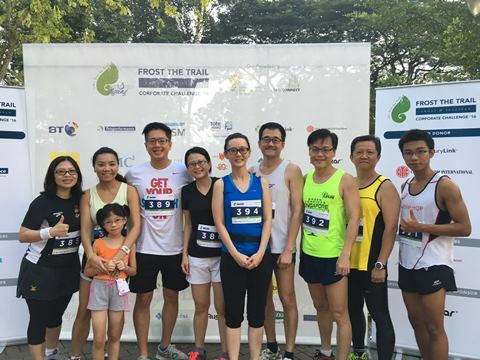 We hope to take part in many more similar events to help charities here in our community in Singapore. Angie Ng is a former Senior Director of Human Resources at Syniverse.